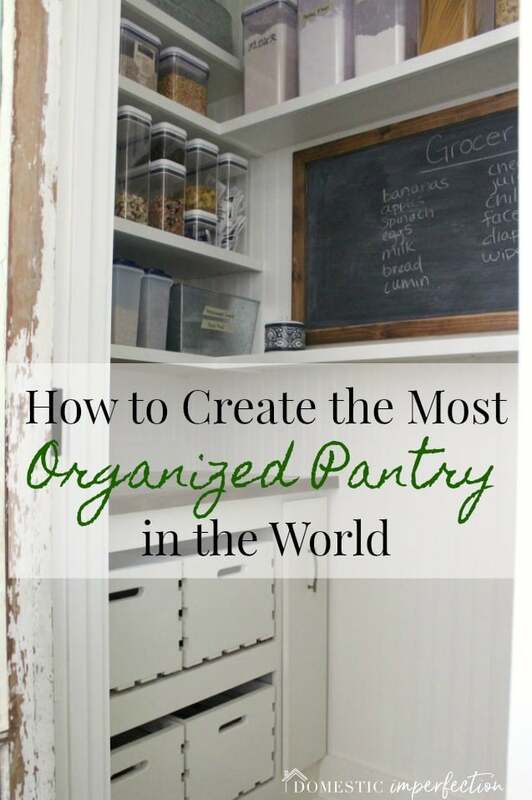 Okay, that title might be a biiit of a stretch, but either way…the pantry is complete! 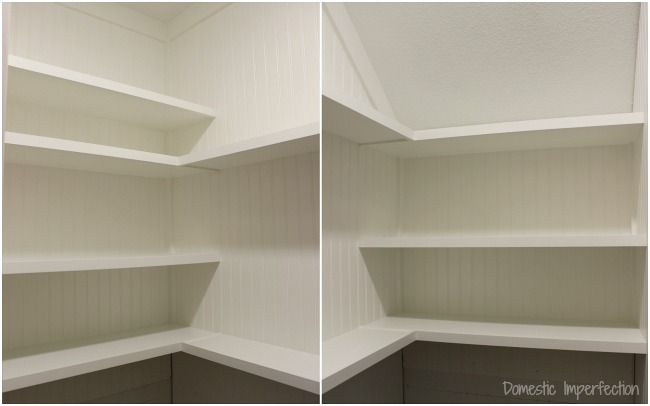 I posted the first part of the pantry redo months ago, and even though we finished a majority of it soon after I refused to post it until it was 100% complete. Adam and have a problem of only finishing things 90% of the way and moving onto the next project (I even wrote a post about it years ago) and I’m breaking the cycle. 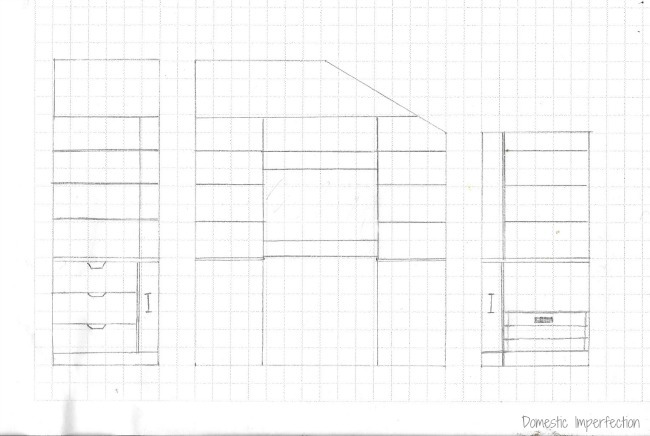 Here is the plan that my husband and I came up with. 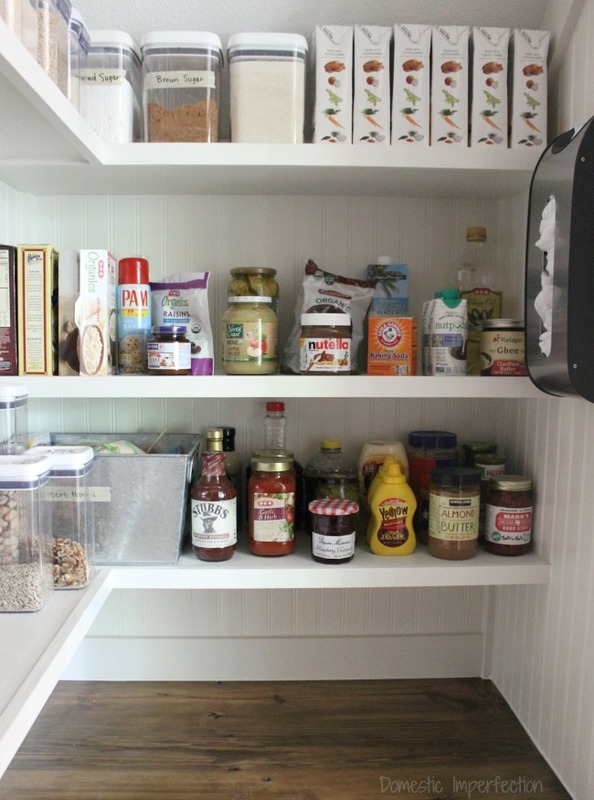 The pantry is situated under the stairs and is about 3 ft x 7 ft, with a sloped ceiling. We finished the top half, which I posted about here. Just having the top part finished and organized has made such a huge difference in general kitchen craziness over the last two months, but there was still the whole issue of the unfinished bottom half. 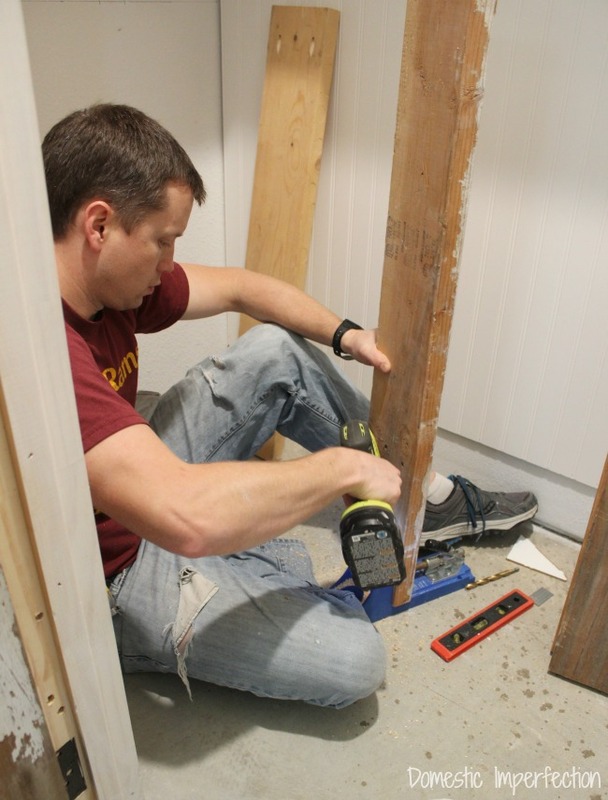 Adam decided that instead of making the bottoms cabinet style (like the kitchen cabinets he is building) he was just going to build it hodgepodge using leftover building materials we have in the garage. Afterall, there’s nothing better than free. I love how in blogs (and more so DIY TV shows) it seems as if the projects just happen and everyone was happy and smiling the whole time. You get to skip the part where your husband is crammed into a tiny room, cursing his face off at inanimate objects after the nail gun breaks and he has to use actual nails and screws, and you are forcing the kids to go play outside to save their innocent ears from the tapestry of obscenity your husband is weaving. Just a little but of blog truth for you on this Monday morning. Aaaaanyway, for the basket drawers we decided to make it easy and buy these from Home Depot for $9 each. 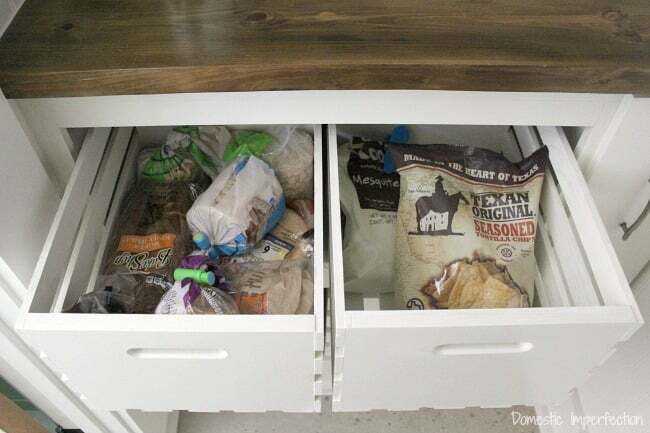 Adam installed them on drawer slides and they function like a dream. Okay, enough progress pictures, let me just show you the finished product and then I’ll talk about the other features. These are actually made out of the bleachers from the high school Adam and I attended, he traded the baseball coach a case of baseballs for the wood or something adorable like that. They were cool looking before with chipped paint and all, but we weren’t able to save any of that because they needed to be planed and sanded. We really could have bought new wood and the result would have been the same, but that’s okay…we know they have a cool story. 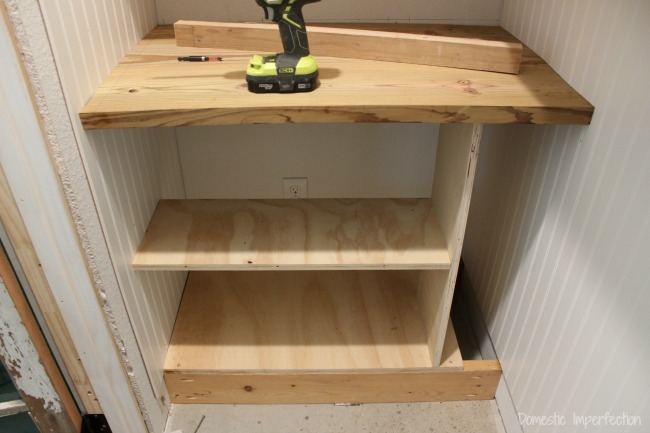 Adam made the tops like he makes all wood surfaces, with the Kreg jig. Then stained it with Minwax Provincial and sealed it with my favorite sealer, Vermont Natural Coatings. 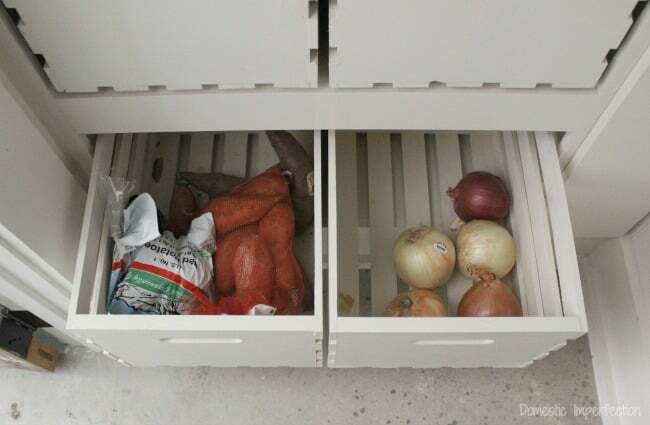 The drawers function awesome and hold breads, chips, potatoes, and onions. Next to that is a hidden can storage. 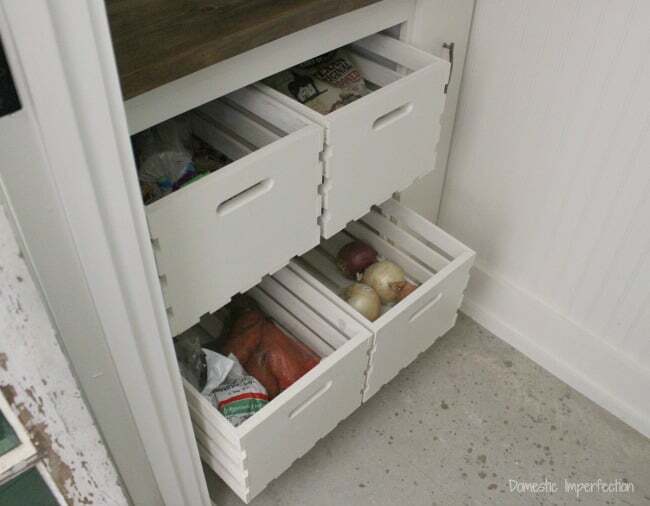 Adam designed and built these out of more garage scraps, and they even include cool elements like beadboard backs, hardwood trim, and soft close slides. Also, I quickly realized that we don’t actually have that many canned goods. Our preparations for the apocalypse have been lackluster at best….when the zombies come we are in trouble. 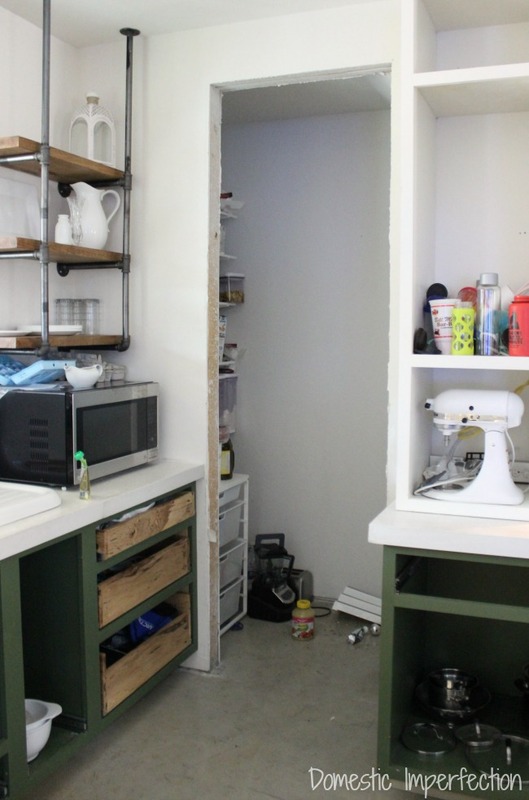 The other side of the pantry has open shelving for small appliances. 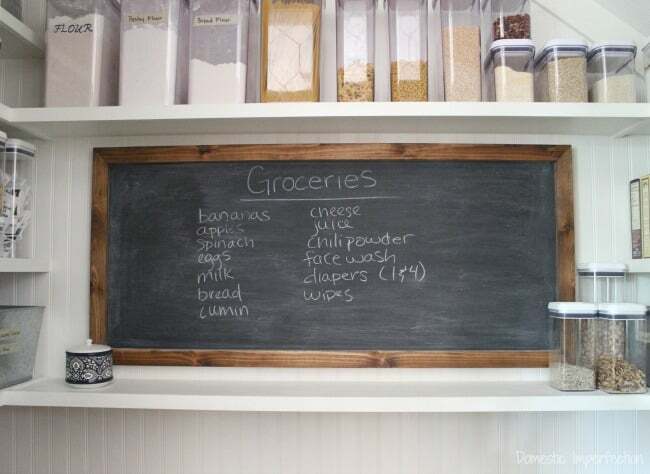 One of my favorite elements in here is the chalkboard. It holds our running grocery list, and when I go to the store I just take a picture of it. Well, I take a picture when my phone isn’t too full to take a picture…so basically I transfer the grocery list down on a piece of paper and take that to the store 90% of the time. 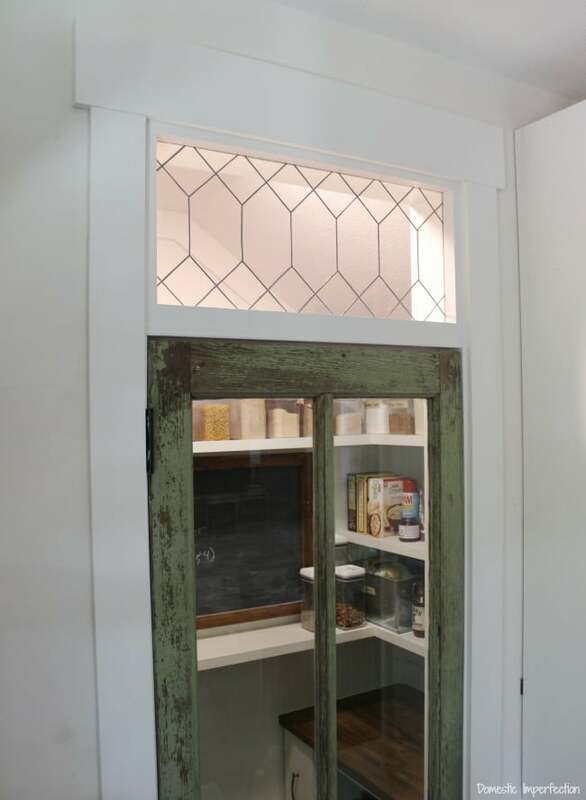 I love the way it looks through the closed glass pantry door the most though. 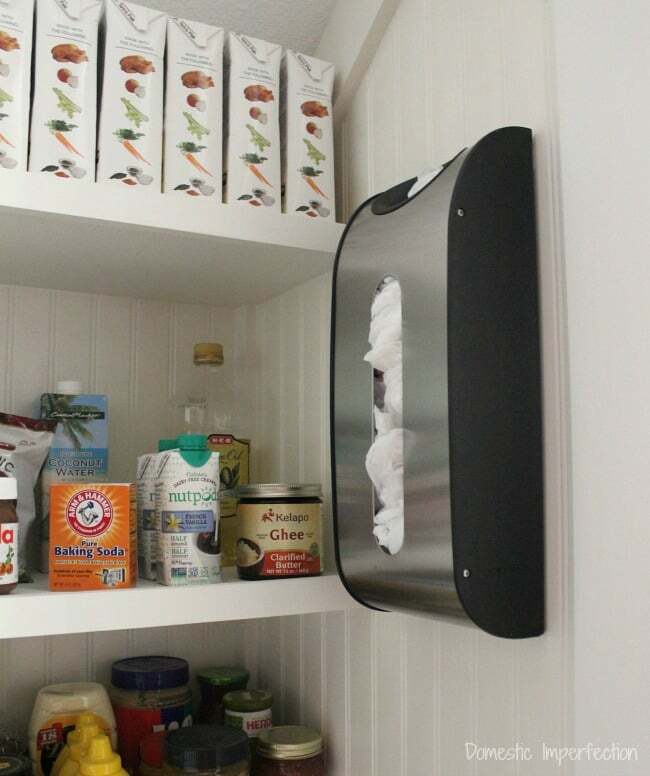 We also installed a grocery bag holder, which is great because after I go shopping I plunk the bags (non cold bags) down on the pantry counter, unload them into their proper places and containers, and tuck the bags into the bag holder, and I’m done. It’s so streamlined…I want my whole house to function like this one day. So that’s the tour! I love it so much and am thrilled to now have two finished spaces in this house, now only like 20 more to go. We should be finished any day now, haha. 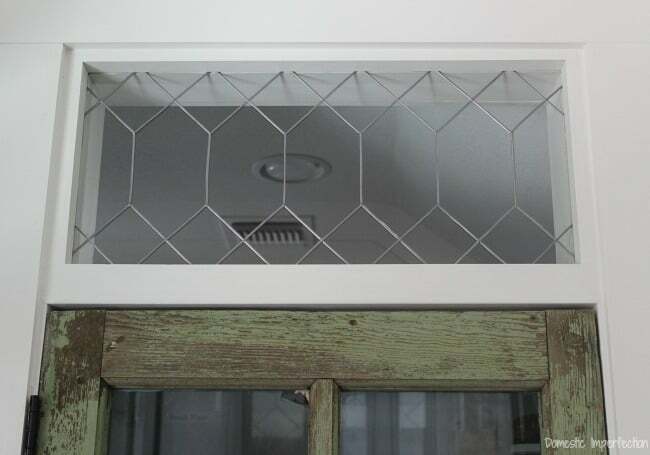 Update: Click here to read about the antique pantry door and the glass transom (a DIY). 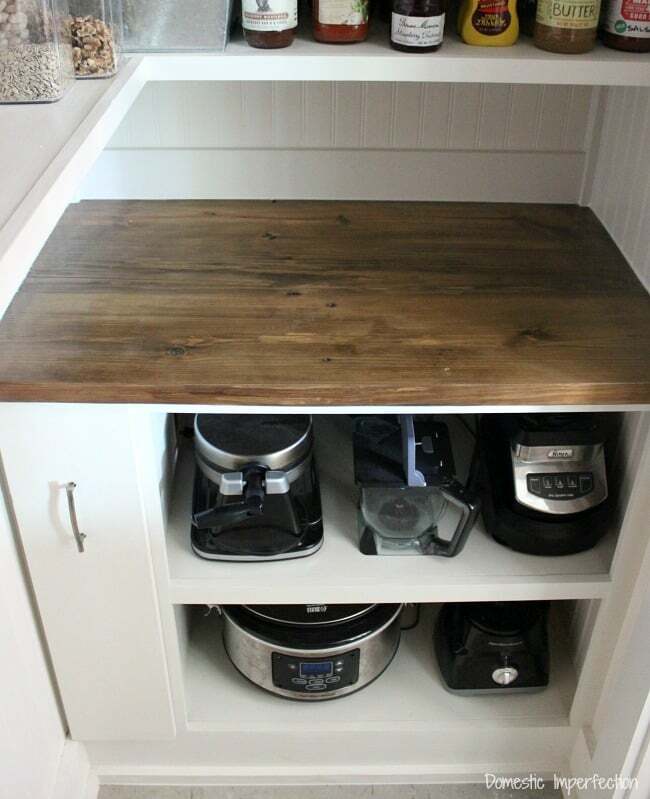 Farmhouse kitchen on a budget – The big reveal! Looks great. 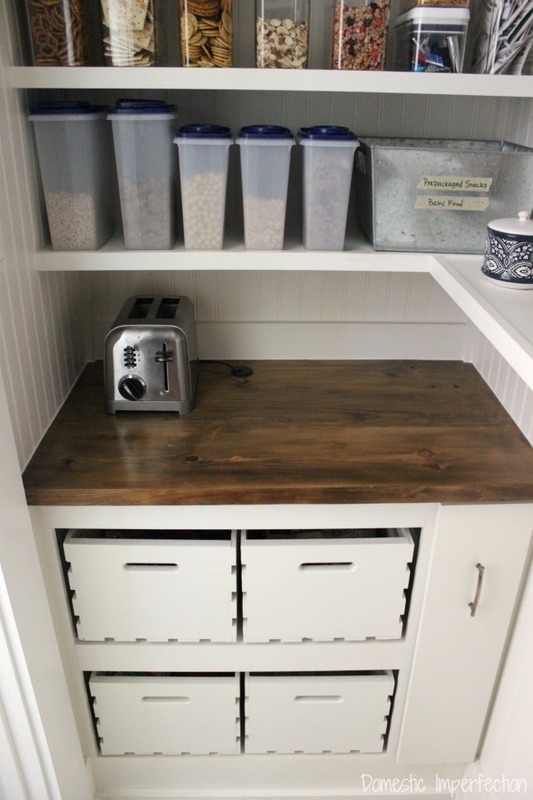 I’m totally going to steal the idea for the crate drawers for my pantry. Can you link to the drawer slides you used? Ahhhh, so functional. 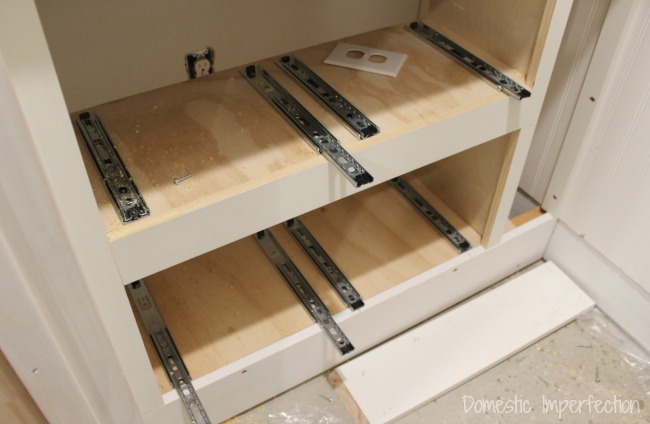 We used cheap drawer slides from Home Depot, but I can’t say I recommend them. I mean, they work, but if you want awesome ones for have to buy Blum brand. I know you can buy them on Amazon, and I’m sure many other places too. I love it. 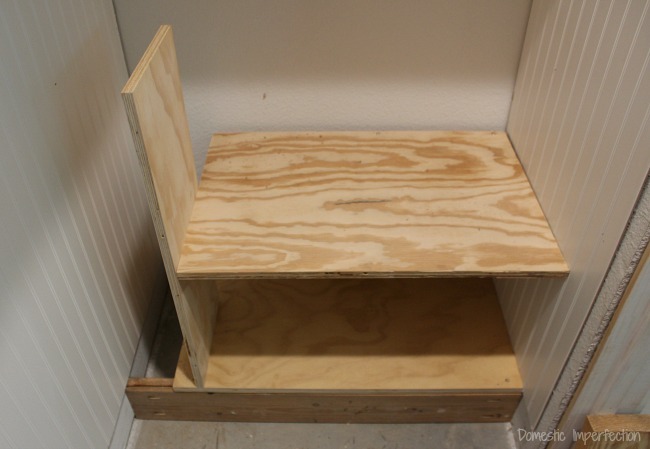 We also have an understair pantry, but the shelving is a bit of hodgepodge and could use an update to make it more functional. I’m saving this for ideas. Dear Adam, please come build me one of these. I don’t have the space, but from what I’ve seen you do in the past, you can figure it out. ? No but really, this is IN-CRED-I-BLE!!! I love love love every little bit of it, guys. It’s gorgeous and organized and looks professionally done. 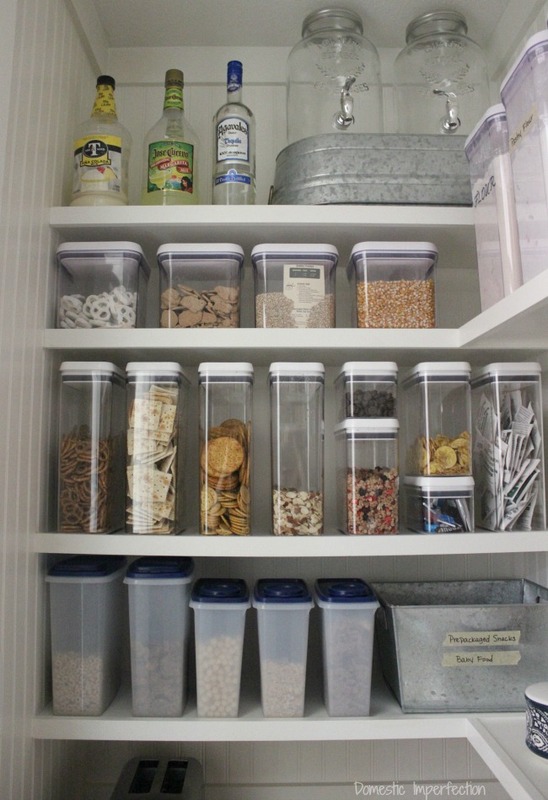 I’m mostly jealous but really happy for you that you have the most amazing pantry in the world! Thank you! Adam is a bit of a magician, and like 50% of this blog is him “figuring it out” after I tell him my idea. I love it! I see you now have cabinet doors in the kitchen. 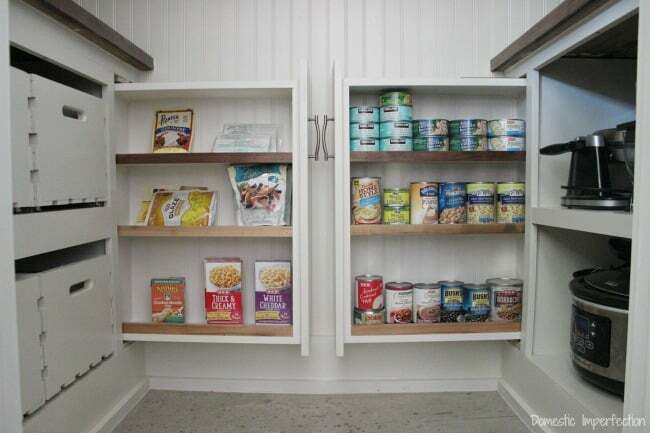 That pantry is absolutely fabulous!! I love everything about it. So beautiful and organized! Congrats on space #2 completion! I can see all your Whole 30 complaint items! Love love love nut pods. You should try Califia Farms Coconut Cream & Almond Milk Better Half. I like it a lot better. It is creamier. I found it at Whole Foods. Its soooooo pretty. I love organized beautiful hard working spaces. 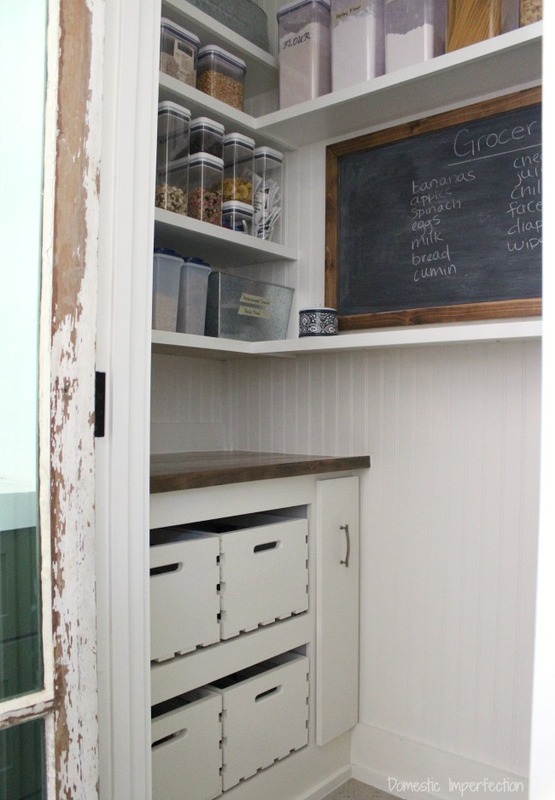 I get more excited about pantry and closet makeovers than living room or dining rooms. Just a suggestion I got from someone else. Take a picture of your grocery list with your phone instead of re-writing it. 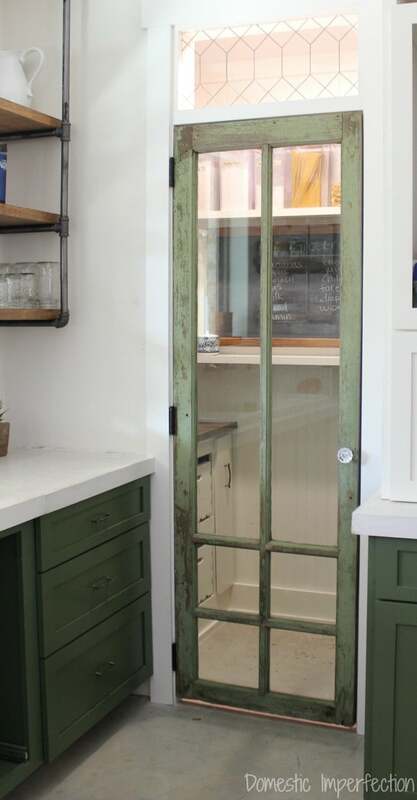 I’m in love with that pantry door. I might have to steal it from you. Also, I have some of those crates I used as a bookshelf, but I’ve been looking for a way to repurpose them as I move into a new space. Thanks for the idea! 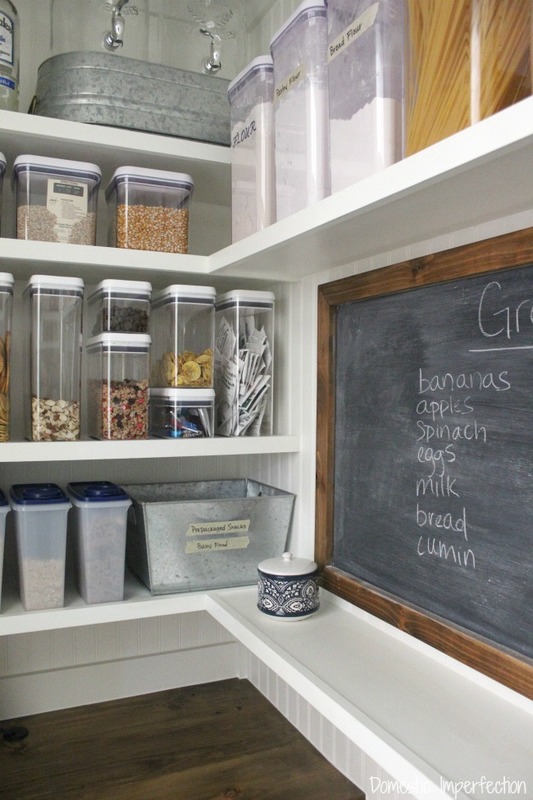 Love everything about your pantry! Especially the door, love love love it!!! 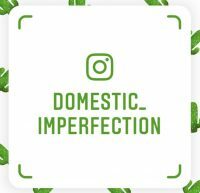 I also like how you are real, a house with small children can be messy that’s life and you live in that house so kuddos to you. I think you guys are doing a great job at juggling life with little ones. Keep up the good work. And thanks for keeping it real. 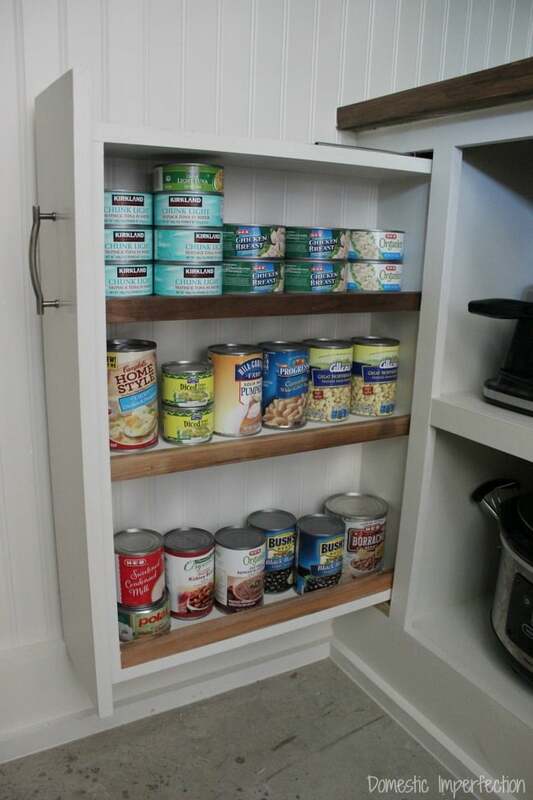 Your pantry looks beautiful! 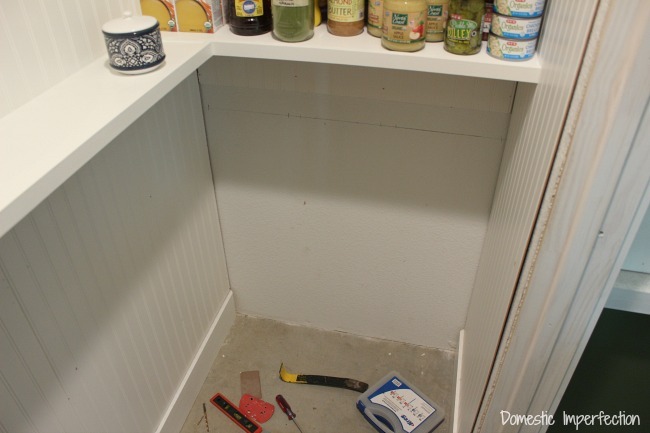 (Also I totally noticed your cabinets now have fronts. Congrats!) I do have a technical question about your counter tops. You say Adam uses the Kreg jig to make the solid piece but how do you prevent cracks or grooves? I made a coffee table a while back and it was the first piece my husband and I ever built. It’s good and sturdy but I hate how much things fall in the cracks between the pieces. I’m not sure if it’s because the wood I used was bulky or what but it drives me crazy. How do you prevent it? Our first couple tabletops/counters had cracks too, and I remember digging out junk with a toothpick a lllll the dang time. 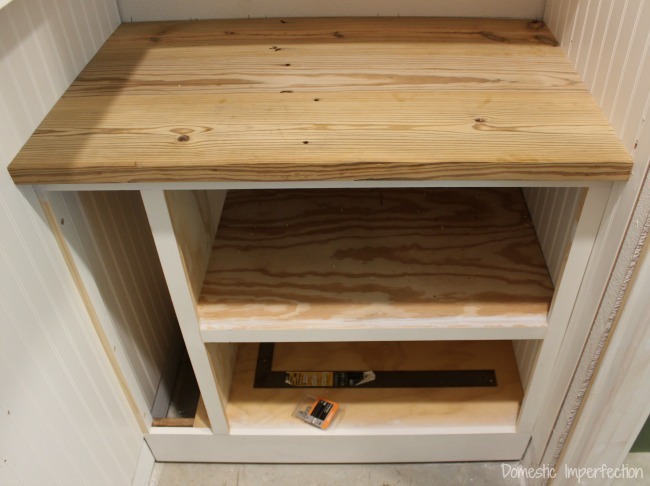 The trick is that you have to run each piece (both sides) through a table saw or planer to make sure they are completely square before attaching them. Then, after put the top together with the Kreg Jig you can use fiberglass resin to seal all the smaller cracks in the wood (I explain that part better in this post). Thank you! I’ll definitely have to get some for future projects. Sorry to make you repeat what you’ve already posted about. I’m pretty sure I read that post but was too busy with other projects to really process it. This is ALL awesome. I give you a 100%! 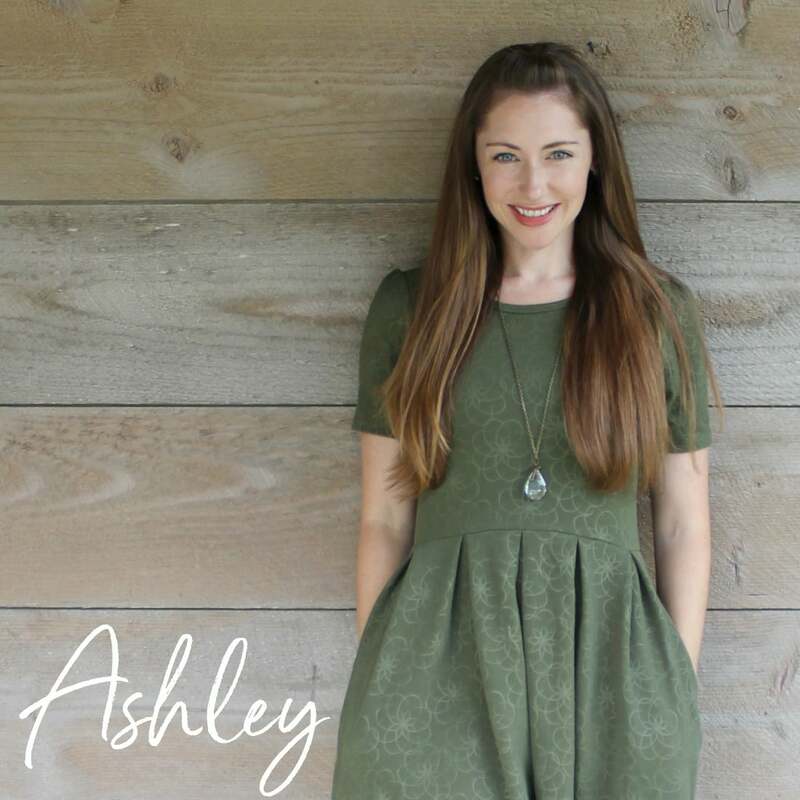 So glad I spotted your post this morning … makes me want to go finish a project today in my home, too! Bravo to you and your brilliant husband – well, you’re both brilliant, of course! Keep ’em coming. I LOVE this! Well done. 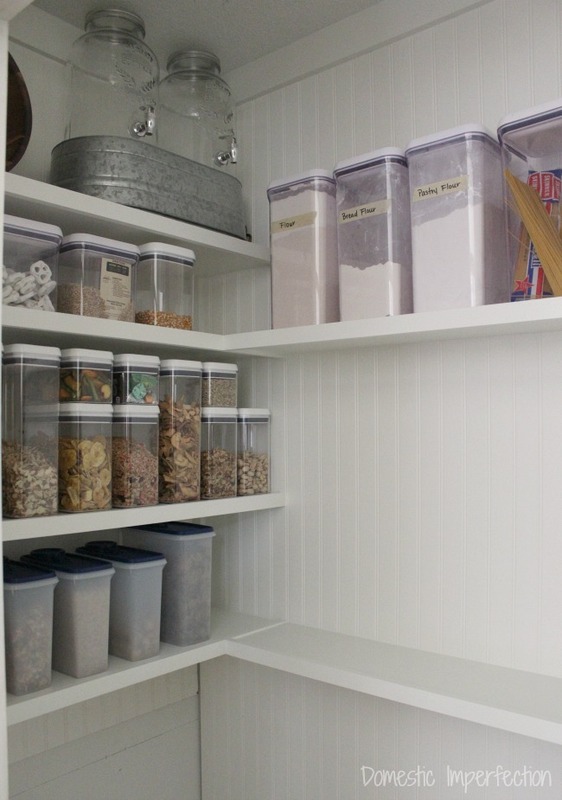 I should post a photo of my pantry for you and you can see why I love yours so much and WHY I am so dang jealous! My door came from my grandfathers cabin, but I do love your transom. However I am suddenly feeling like a food hoarder! I did literally laugh out loud over the “tapestry of obscenities”…could totally feel you sister! This is a thing of beauty! And I love the high school story. And the “Tapestry of obscenity” . And the use of scrap materials. 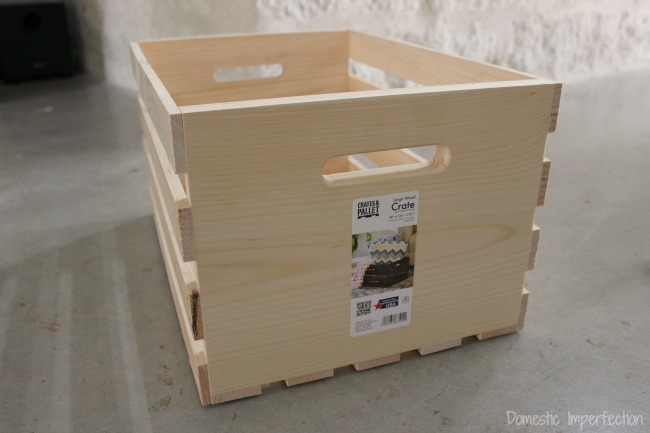 And those crate drawers are my favourite thing ever! Thank you so much! 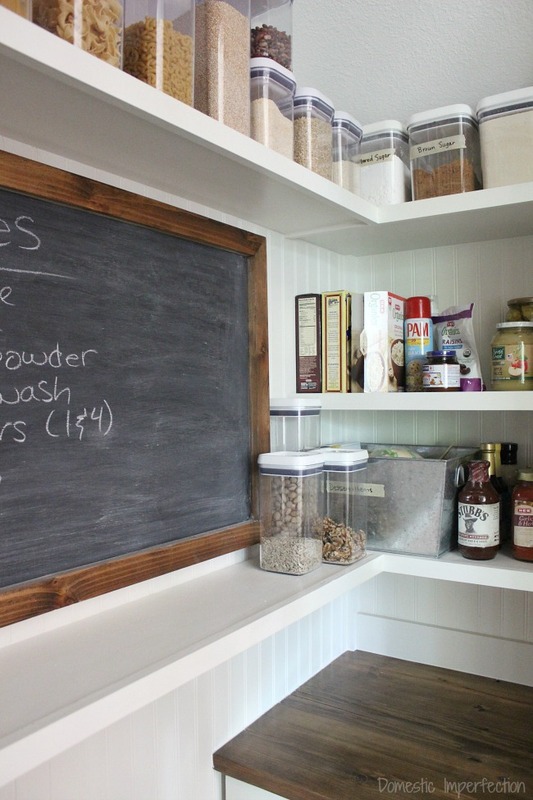 I have a similar pantry space and these are some very useful ideas for us. I guess I never really thought about how I could utilize the space so this is really helpful.